We are proud to jointly fund the Driving Social and Economic Change conference with South Eastern Regional College in early 2019. This international event will be hosted on 24th Jan 2019 at La Mon Hotel Belfast, and will showcase creative thinking, innovation and problem solving around addressing social and economic change. Talks and workshops will examine different approaches to success in education, health and the connections with business and productivity. 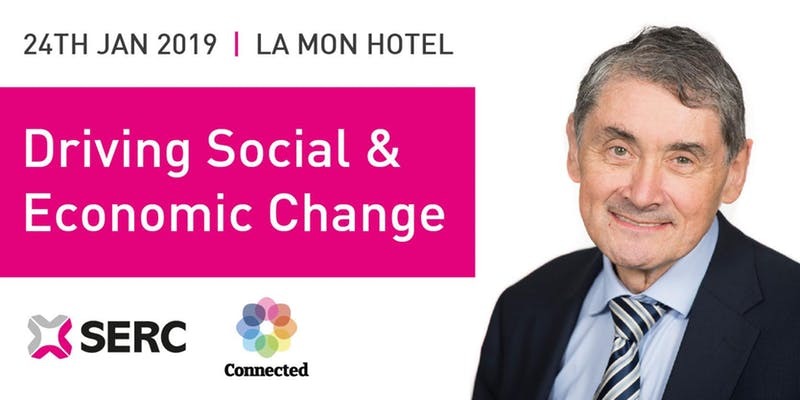 Keynote speakers - including Professor Sir Harry Burns, Dorte Neilsen and Steve Orr - will share their extensive knowledge of social change and will set the challenge for attendees to think differently about the link between social & economic well-being and highlight examples of good practice. Places cost £38.57 and will include morning break and lunch. The event is expected to fill up fast, so book your tickets now.